Telus and Bell combining sites. You may get a Notice of Assignment and a loss of income. What is an Notice of Assignment? Why are Telus and Bell combining sites? The closing of cell sites by both Telus and Bell is well underway. Many of these sites will be operating antennas for both Telus and Bell. 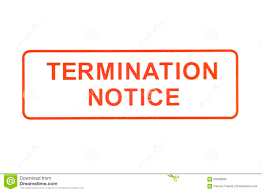 For those property owners or landlords with Telus or Bell cell leases, many can expect to receive assignment and termination notices. Telus and Bell have decided to share many of their antenna sites and terminate site leases. A big cost saving. In the west, Bell is “selling” their sites to Telus for $1 and continuing their operations on Telus sites. Almost all the Bell sites in Greater Vancouver are gone. If you have a Bell and Telus site – you may now only get rent from one carrier. Bell is likely still there – you just do not get paid for Bell. In Ontario and Toronto – the opposite is happening. Telus is ending leases and going onto Bell sites. Again, landlords are getting less while Telus operations continue on Bell cell sites. Are they paying Property Owners and landlords for both Telus and Bell operating on their site? Not that we have seen. Is that fair? It depends on the property owner’s perspective. You may be asked to sign an “Assignment and Assumption Agreement” in favor or Telus or Bell. What are you giving up? Before you do – contact us at 604-566-9811 – you may have other options. Unfortunately this cost cutting measure by Telus and Bell comes at the expense of some Canadian landlords. Are other carriers looking to this example? We will see. This entry was posted in Bell, Cell Antenna Lease Rates, Cell Towers, Latest News, Lease Negotiations, Telus and tagged Telus Bell End Leases. Bookmark the permalink.